In recent years, the knowledge of the Creator's calendar and the seventh-day Sabbath calculated by that calendar, has grown and spread. Various objections have been raised against this truth. However, when these objections are carefully analyzed in the light shining from Scripture and the historical record, the facts support that the true Biblical Sabbath can only be found by using the luni-solar calendar of Creation. All other worship days, calculated by all other calendars, are counterfeits. Following are 9 common objections raised against the Biblical Lunar Sabbath, and their respective Answers. OBJECTION #1: "The luni-solar calendar might work well in a perfect climate if you're living near the equator. However, it does not work if you live near the North or South poles." ANSWER: The beauty of the Creator's calendar is that it is as perfect for the North or South poles as it is for the equator. 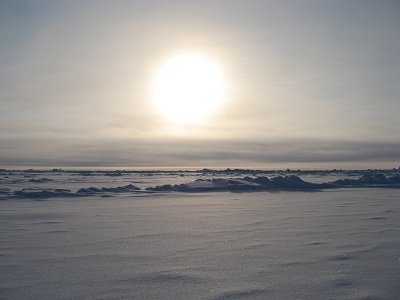 The new year on the luni-solar calendar begins in the spring which is midway between the extremes of summer and winter, even in the arctic regions. Once the astronomical principles of luni-solar calendation are understood, the calendar for the year can be calculated from the New Moon of the first month in the Spring. Because lunar months are 29.5 days long, a person can calculate on average every other month being a 30 day month, with all other months being 29 day months. This is probably how the early Christians did it when they were forced to hide in the catacombs or were enslaved in the mines and unable to see the sky. Because the New Moon can be calculated with great accuracy, worship by the luni-solar calendar in the arctic regions is not a problem, either. Similar to what a Saturday-Sabbatarian does on the Gregorian calendar, one would keep holy time from rising in the morning, until going to bed that night. The calendar of Creation is the most user-friendly calendar in existence and can be accurately used by all, regardless of where they live. OBJECTION #2: "The Jewish Talmud clearly does not support a lunar Sabbath. It refers to what prayers are to be said 'If a New Moon falls on a Sabbath' and has special instructions for Passover, 'If the sixteenth falls on the Sabbath.' Such statements could not be made if, in fact, the Jews were worshipping on a lunar Sabbath because, according to the lunar calendar, neither New Moons nor the 16th of the month ever falls on a weekly Sabbath." ANSWER: The Talmud was written after the destruction of Jerusalem in AD 70. While certain elements may accurately reflect Biblical truth, such points can only be established when compared with other Scriptural evidence. During the Saviour's life on earth, the Israelites were still using the original calendar. The high priest, who was always of the ruling Sadducee class, was responsible for declaring when a new month began. The Pharisees, whose "traditions of men" the Saviour so emphatically denounced, did NOT control the calendar. This is an extremely important point because the calendar used by Jews today to calculate their feasts is a corrupted alteration of the original calendar. It was devised by the Pharisees and they justified this change by their oral traditions. To use the Talmud to somehow "prove" the luni-solar calendar false, proves nothing of the sort. All that is established is that the traditions of the Pharisees triumphed after the Israelites rejected the Messiah. Modern Jewish scholars base their beliefs on the Talmud which, in turn, comes straight from the doctrines of the Pharisees. The Saviour sought to free the divine law and the Sabbath from these "traditions of the elders." Basing a belief on the Talmud is to base one's belief on the very traditions the Messiah rejected. OBJECTION #3: "The word 'week' comes from the word seven. Obviously, this refers to a repeating cycle of seven days! Besides, Saturday is when the Jews worship!" ANSWER: The Hebrew word shabuwa means, literally, "sevened" because the Hebrew week was seven days long. It was translated into English as "week." Various cultures throughout time have had weeks of differing lengths. Various parts of Africa had three, four, five, six and eight day weeks, centered around market days. In fact, in the Congo, the word for "week" is the same as the word for "market." The Maya of the Yucatan had clusters of five-day weeks. The Muyscas of South America had a three-day week while the Chibchas had a four-day week. 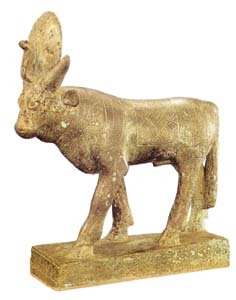 The Etruscans and Romans had eight-day weeks, while the Egyptians and the Revolutionary French had 10-day weeks. Nothing in the definition of the word "shabuwa", however, refers to the cycle of weeks. Anciently, all weekly cycles restarted at the New Moon. The fact that the modern week is a continuous weekly cycle can be attributed to a variety of factors, but NOT to the original calendar of Creation. This statement is nothing more than an admission of apostasy. It should be understood in the context of Jewish admission that modern Judaism is the spiritual descendent of the Pharisees whose "traditions" and "adaptions" and "prevarications" the Saviour denounced. OBJECTION #4: "It is impossible to count the Pentecost on the Luni-solar calendar." ANSWER: On the contrary, the only way to correctly count to Pentecost is by using the luni-solar calendar, because only by using the Biblical calendar can all the requirements for calculating it be met. Seven Sabbaths must be complete. Seven Sabbaths complete provides seven complete weeks, starting on Wave Sheaf. Historians and Biblical scholars all agree that the Feast of Weeks also stands as a memorial of the giving of the Law on Mt. Sinai. 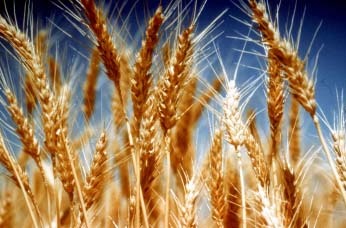 If one was to simply count 50 days from the Wave Sheaf offering during Unleavened Bread, then Pentecost would be celebrated well before the children of Israel had even reached Sinai. However, when we use the luni-solar calendar, we see the timeline laid out in Scripture that proves the Biblical and historical account of Pentecost being a memorial for the giving of the Law. Seven [lunar] Sabbaths complete will always fall on the 8th of the Third Month. Exodus 19:1 states that the children of Israel arrived on the same day that they had left Egypt, the 15th. Here we have the first seven days in our count to fifty. Exodus 19:10-16 states that Yahuwah told Moses to sanctify the people. Three days later, Yahuwah descended onto Mt. Sinai. Thus we have three more days added to the count, giving us a total of ten days. In Exodus 24, Yahuwah then asks Moses to come up the Mountain with the elders. Moses, Aaron, Nadab, Abihu, and the elders ascend Mt. Sinai. Yahuwah then calls Moses into the mountain. After forty days, Moses descends with the original Tables of Stone written by the finger of Yahuwah. This adds forty more days, giving us a total of fifty days! Aaron was the high priest appointed by Yahuwah Himself and had beheld Yahuwah's presence on the "paved work of sapphire stone" in Exodus 24. This was no random feast, albeit the children of Israel desecrated this sacred day with their idolatrous behavior. This was the Feast of Weeks, exactly 50 days after the 7 Sabbaths complete on the luni-solar calendar! The fact is that only by counting seven complete Sabbaths on the luni-solar calendar and then adding fifty days can one arrive at the true Feast of Weeks (Pentecost)! Far from disproving the lunar Sabbath, the Biblical count to the Feast of Weeks is one of the most remarkable proofs in favor of the lunar Sabbath! 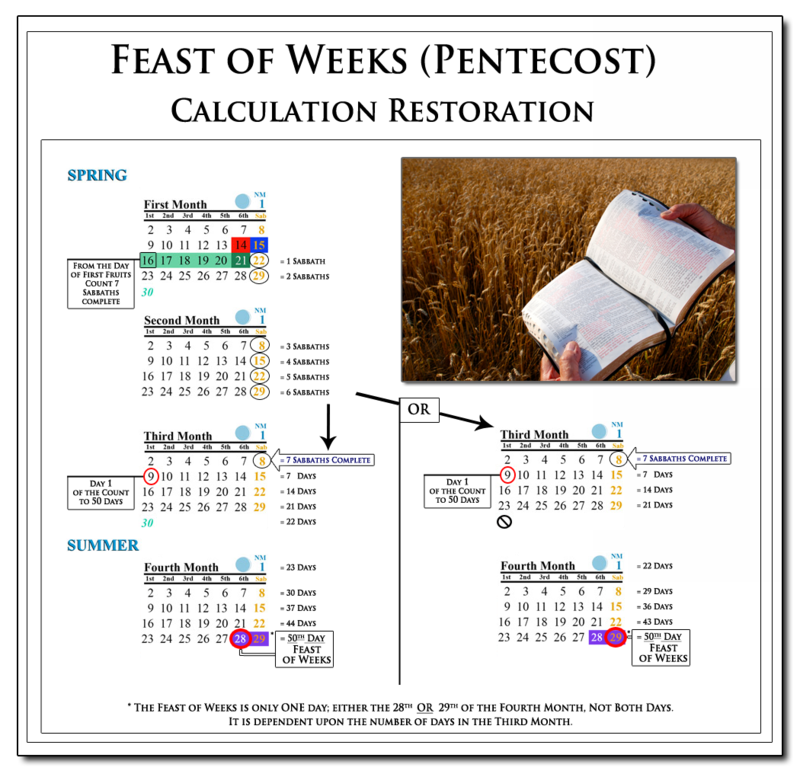 For a more comprehensive study on how to correctly count to the Feast of Weeks, refer to Pentecost | Calculation Restoration. OBJECTION #5: "There are so many conflicting ideas for the lunar Sabbath. God is not the author of confusion. If this were true, lunar Sabbatarians would have some unity in their beliefs. As it is, they are very UN-unified, some keeping New Moon on conjunction, others on the LAST visible crescent, some on the FIRST visible crescent, others on the horned crescent and still others on the full moon! All is confusion and so, obviously, this is error." ANSWER: This is a nonsensical argument. It could be used against Christianity itself, which has hundreds of different denominations which are not unified on the day of worship, the nature of Christ, what happens after death, and an entire host of other doctrines. Scriptures declares that Yahuwah Himself caused the true Sabbath to be forgotten. These appointed times for worship are all calculated on the same luni-solar calendar of Creation. The process of restoring long buried truths began during the Protestant Reformation and continues to this day in the restoration of the Biblical calendar and its Sabbath. It is not easy to dig out long-forgotten truths. It takes time and diligent effort. However, the fact that differing opinions are held among those seeking to reestablish lost truths is not an argument against it. Rather, all should be allowed the freedom of thought and the religious liberty to study and be convicted for themselves. OBJECTION #6: "This lunar Sabbath theory is simply a revival of the ancient moon cult, dressed up in modern clothing. It is nothing more than worship of the moon." ANSWER: ALL time is calculated by movement. Without the movement of the celestial bodies relative to the position of the earth, time cannot be measured. 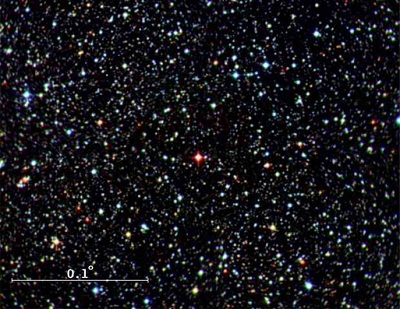 The Sidereal calendar uses the movement of the stars. 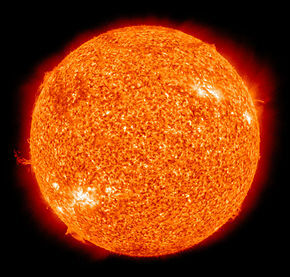 Solar calendars use the movement of the sun for the year. Months are independent of anything in nature. 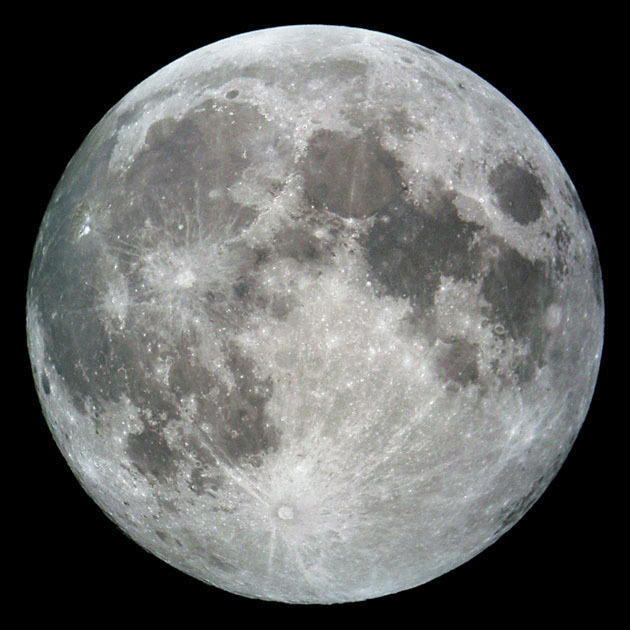 Lunar calendars are based strictly on the cycles of the moon. Because the lunar year is shorter than the solar year, lunations float through the solar year, as with the Islamic calendar. Luni-solar calendars use the sun for measuring the length of the year, and the cycles of the moon for keeping track of months, or lunations. Using the sun and the moon for measuring time does not make one a worshipper of the moon! OBJECTION #7: "Roman senator and historian Cornelius Tacitus makes it clear that the Jews kept a Saturday Sabbath. The fact that a pagan associated Sabbath keeping with Saturn proves that the Roman week's 'day of Saturn' was the same day as the Bible's 'Sabbath day!' "
ANSWER: Scripture itself refers to the Israelites worshipping Saturn. Saturn was a planetary god. Saturday is "Saturn's day" and it is probable that when the Israelites were worshipping this planetary god, they were doing it on his day: Saturday. However, such acts of worship were always when Israel was in gross apostasy and rebellion against Heaven. Centuries later when the kingdom of Israel was split between the 10 northern tribes and the two southern tribes, the first king of the northern kingdom of Israel, Jeroboam, reinstituted the worship of Saturn. And Jeroboam said in his heart, Now shall the kingdom return to the house of David: If this people go up to do sacrifice in the house of Yahuwah at Jerusalem, then shall the heart of this people turn again unto their lord, even unto Rehoboam king of Judah, and they shall kill me, and go again to Rehoboam king of Judah. The details of Israel's many apostasies, as recorded in Scripture, reveal that the worship of Saturn featured predominantly in their religious rebellions. The day upon which one worships honors the god of that day. Saturn is the god of Saturday. Yahuwah, the Creator, is to be worshipped on His holy Sabbath day, calculated by His luni-solar calendar. Worship on any other day, calculated by any other calendar, gives honor to a god other than the Creator. OBJECTION #8: "Various ancient historians, from Cassius Dio, to Frontinus and more, clearly stated that the Jews refused to fight on the 'day of Saturn'. Even the destruction of Jerusalem in AD 70 occurred on 'the day of Saturn.' Clearly, this was the seventh-day Sabbath even back then." ANSWER: This objection is based on the assumption that the week in the time of these Roman historians was identical to the modern week. This is false. The Julian calendar originally had an eight day week. As Mithraism gained popularity in pagan Rome, the planetary week of seven days also gained popularity. The Israelites were in apostasy, which is why Yahuwah allowed them to be conquered. The cycle of weeks between the Israelite calendar and the Roman calendar was different. Between A.D. 79 to 81, the Emperor Titus constructed public baths at the base of the Esquiline hill in Rome. These baths, known as the Baths of Titus, had many mural designs created by the artist Famullus. On one of the walls in these baths was a stick calendar. 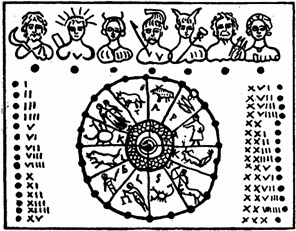 It is one of the earliest Roman depictions of the seven-day planetary week. The significance of this calendar is that it reveals that the pagan planetary week originally began on Saturn's day. Saturday in the early Julian calendar was not the seventh-day but the first, followed by Sunday, then Monday and finally ending on dies Veneris, or the modern Friday. It was not until the Council of Nicea in the fourth century that the seven-day planetary week was finally standardized in the Julian calendar to begin on Sunday and end on Saturday. OBJECTION #9: "It is simply too hard! The whole world is using a different calendar. To worship by this calendar could cost my job. How would my kids go to school? You cannot live in the modern world and worship by this calendar!" ANSWER: The one argument against truth that its lovers and promoters have never been able to deny is that obedience to truth does carry a cross: the cross of obedience. Modern lives are regulated by the Gregorian calendar: work days, school days, weekends, vacations - all are calculated using a continuous weekly cycle. If the light of the true Sabbath is accepted, there will be separation. This is inevitable. The light of truth is advancing. Doctrines long buried under the error of assumption and tradition ARE being restored. Will you prize truth enough to obey no matter what the cost? An eternity of happiness awaits all who make this choice.